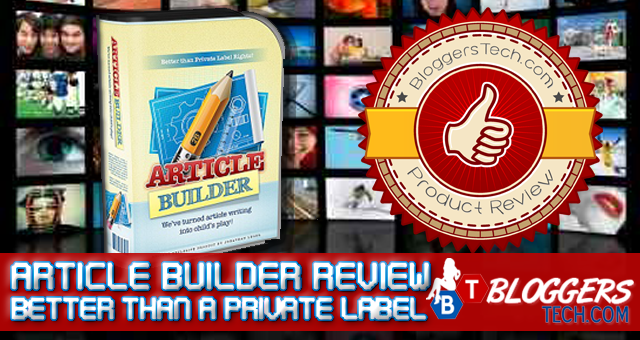 Article Builder Review – Better than a Private Label? I think it was just a couple of months ago that I’ve published a post about the Article Builder here in Bloggers Tech blog. Article Builder is a great source of content for posting on your blog or for your link building purpose – when we’re talking about SEO. So I think it would be just right to share with everyone my Article Builder review. I’ve availed its service just for a day, just to see what’s inside it, get some content and see what it really offers – and of course if it’s worth for your money. As a SEO specialist myself, working for 3 years in this industry and working with clients around the world I have the experience and knowledge on how important it is (the content) in building quality links to your website. So as usual, I’ve break down a couple of areas about the Article Builder to discuss and share with you. In this way, we all have a good insight about their service. But first off, let me share with everyone one of the article that I got from Article Builder. Parenting is one of the most rewarding jobs a person will ever have. As a parent you have the chance to help mold a human being into a person who can do anything. It is a weighty responsibility, but you don't have to go it alone. Here's some advice from other parents to help you make the most of your new job. Sweets and other high-calorie foods should only be given in moderation and only for rewards, not for everyday snacks. You can teach your children to snack healthy by making sure you only give them things like apples, raisins, granola bars, etc. Giving them candy will make them continue to want the candy. Be consistent in your parenting. When you constantly repeat yourself and you are always making threats without following through, your children will begin to ignore you and lose respect for you. This is actually teaching them not to listen because they will learn that you do not mean what you say. Being consistent will lead to happy children who trust you and know what to expect from you. Connecting with your child on more of a friendship level is good, but your child must always know that you are not his or her friend, rather that you are the parent. You can be friendly but you cannot allow yourself to be viewed as just a friend. That first name basis and secret handshake stuff is good movie fodder, but it doesn't go over too well in the real world. Help the child to develop routines by establishing a schedule very early. If you give them specific times for different events they will begin to naturally adjust to these times. This will help to make shower, eating and bedtimes much easier. The child will also feel more secure. Spend time with your children. While there has been a movement in recent years for parents to focus on "quality time" with their children, most children simply want "quantity time". Even if you're not doing anything, your child enjoys being around you - savor it. In addition, spending time interacting with young children is vital to their intellectual development. When riding in the car, keep your baby in a rear facing car seat as long as you possibly can. While industry standards recommend turning the seat to front facing around the age of 12 months, the risk of a spinal injury to a baby during a frontal car crash is higher when it is facing forward. For a fun rainy-day activity, keep an art box. Use any box or plastic bin to keep random art supplies at the ready. Get creative; anything can be used as art supplies. Throw in old magazines, tissue paper, toilet paper tubes, packing peanuts or just about anything. It makes for a great creative activity on a day when you hear "I'm bored" one time too many. An important tip to consider in terms of parenting is to be sure that you are always providing opportunities for them to learn for themselves. If you approach chores in a way that makes them feel in control, they may be happy to do them. This is a great way for children to build self-esteem and and also for them to learn to be independent learners. There is always something left to learn about being a parent. Even when your child is on their own and out of the house, you will still be learning about parenting. Hopefully you will be able to pass what you have learned down to your own children to help them raise the next generation. If you’re able to read at least a paragraph of the article above, it’s actually a good article. Some PLR may be sold for around $5 in this quality (I had some interest in buying PLR articles before) but most of the PLR articles I found are usually bulleted - to show the main idea or the topics need to be discussed which is good. I’ve used the tool in checking the article’s uniqueness and the above article is 0% unique – which means it has been used and published on the other site(s). So, we should avoid this to avoid getting penalized by the search engines and also plagiarism. That’s the same with PLR articles - there are PLR article sellers out there that sell bulk of articles and to a limited number of buyers only. For example for $15 for 10 articles it will be only sold to 100 buyers and some may sell it to a limited number of buyers but it will cost you more. The solution to this is to SPIN or rewrite the article. Why do that? Why not write a new one? Well, it will be a lot easier as a blogger or writer to write the article since the article that we’ll rewrite is already there, we just have to change a couple of format, words, and make it as your own. So the article writing is of course will be a lot faster and easier since the idea and information is already there. What’s great about Article Builder is that it caters a lot of niches. So if you have more than 2 blogs and don’t have time to update it (which is very important) or maybe you’re running out of idea (especially if your blog are in different niches), the Article Builder will be totally useful for you. BETTER THAN A PLR ARTICLE? Well, if you ask me, if you’re buying PLR articles and have different blogs, need a lot of content, then it would be best to at least try the Article Builder. So to answer the question, my answer would be YES. IS IT WORTH IT YOUR MONEY? As for this, we need to compute it right? 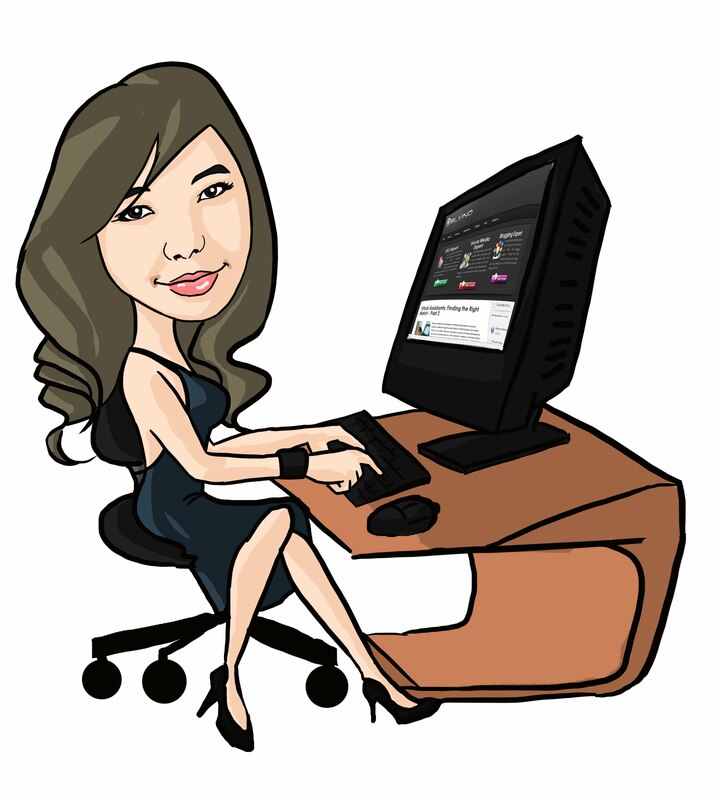 So let’s say you update your blog at least once a week (just like here in Bloggers Tech blog) and have 5 blogs. Let’s compute it for next year, shall we? Since it will be too late to compute the expenses you’ll have for this year since it’s already November. Anyway, the internet has provided me with 52 Monday’s in 2014 but let’s just say we’ll need 50 articles for the year. I’ve also looked up online the price of the cheapest PLR article pack online which is $5 for 5 articles in the same niche. As we can see, if you’re just willing to add $47 on your expenses on your site you then could be able to update your blog not just once a week but possibly every day and that is catering different blog niches and you can add more blogs and have them all updated every day. So as for this Article Builder review, if you have different sites and different blogs that you need to update at least once a week then having the Article Builder will be totally worth it. I think this would be ideal to SEO companies who want to give more resources to their writers or want to be able to spin quality articles and produce more articles out of it. To be able to ensure the great use of the Article Builder and avoid plagiarism and getting penalized by search engines, you’ll need a writer to rewrite these articles or at least an article spinning software like the Best Spinner. So it may cost you more than $297 to make and have the quality article that you need. I’ll give the Article Builder by Jonathan Leger a rating of 3.5 out of 5 stars, since you’ll still need someone else to rewrite the article to ensure its 100% unique. But it’s way better than using scrapping software since this one are well written by human and you can just use other terms for the words in the article. Buy the Article Builder Now! Just click on the button below to purchase their service now! What’s great is that, you’ll not only be able to help Bloggers Tech (since it’s an affiliate link) in the blog expenses, but you’ll also be able to try Article Builder for 3 months for only $87 which will surely benefit you.